While Craig is tutoring, Janette Garbuio will be chaperoning the cultural enthusiasts. There is never a dull moment exploring the winding alleyways of Venice or the unique buildings of Cinque Terre. 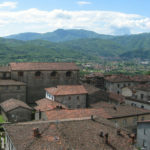 Janette is fluent in Italian and will show you the beautiful area. Enjoy the time and energy of immersing yourself in the Italian culture.